It's formulated with Moringa Oil, a skin conditioning moisturizer chock-full of radiance-boosting fatty acids, Grapefruit, which helps to fade age spots and increase skin luminosity, and Passion Flower Extract to naturally soothe skin. PROVEN TO: Help reduce the appearance of dark spots 4 weeks Help make skin feel firmer and more resilient 97% Natural SPF 15 Petroleum, SLS, amp; Paraben Free Cruelty-free Available for online purchase in US only. Warnings: For external use only. When using this product: avoid contact with eyes. If contact occurs, rinse with water to remove. Stop use and ask a doctor if: rash or irritation develops and lasts. Keep out of reach of children. If swallowed, get medical help or contact a Poison Control Center immediately. Other warnings: You probably already know this, but - made with natural ingredients, so product discoloration may occur. Ingredients: Active Ingredients: Zinc Oxide (3.2%), Titanium Dioxide (2.9%). Purpose: Sunscreen. Inactive Ingredients: Water, Ethylhexyl Palmitate, Glycerin, Helianthus Annuus (Sunflower) Seed Oil, Caprylic/Capric Triglyceride, Cetearyl Alcohol, Prunus Amygdalus Dulcis (Sweet Almond) Oil, Magnesium Aluminum Silicate, Coco-Glucoside, Phenethyl Alcohol, Aluminum Hydroxide, Glyceryl Caprylate, Xanthan Gum, Moringa Oleifera Seed Oil, Limonene, Glyceryl Isostearate, Fragrance, Hydrated Silica, Polyhydroxystearic Acid, Triethoxycaprylylsilane, Tocopherol, Citrus Paradisi (Grapefruit) Fruit Extract, Glycine Soja (Soybean) Oil, Lecithin, Cyamopsis Tetragonoloba (Guar) Gum (Certified Organic Ingredient), Citrus Aurantium Amara (Bitter Orange) Fruit Extract, Sodium Ascorbate, Passiflora Incarnata Flower Extract, Citric Acid, Potassium Sorbate, Sodium Benzoate. Instructions: Directions: Apply liberally and evenly 15 minutes before sun exposure. Reapply after 40 minutes of swimming or sweating, immediately after towel drying, and at least every 2 hours. Sun Protection Measure: Spending time in the sun increases your risk of skin cancer and early skin aging. To decrease the risk, regularly use a sunscreen with broad spectrum SPF value of 15 or higher and other sun measures including: Limit time in the sun, especially from 10 am-2 pm. Wear long-sleeved shirts, pants, hats, and sun-glasses. Children Under 6 Month of Age: Ask doctor. I love this moisturizer. I feel it has made my complexion more even-toned which is what I was looking for. The product isn't greasy or oily. It actually feels very light. I of course love the smell :) so grapefruity! It also includes an SPF which is awesome! 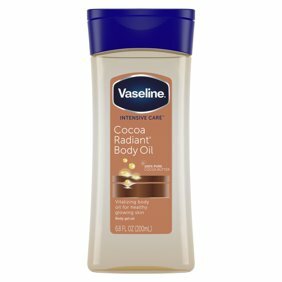 Nice moisturizer that sinks into skin easily with no greasy feeling or residue. Not much scent. Since it has SPF I use it most mornings. I didn't notice a white film as some reviewers commented on, but could be because my skin is really fair so it's not visible.